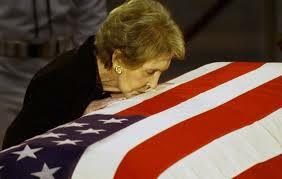 The death of our beloved Nancy Reagan brings us back to the love story between her and our beloved President Ronald Reagan as they clearly displayed the love, respect, balance, and support, the blessed gift from God possible on earth between a man and woman. 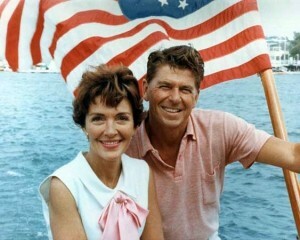 Her comment that her life didn’t really begin until she met Ronald Reagan… is not understood by some… as in the woman libbers who think they don’t need a man or that they are weak to think that they might, the feminists that have no clue concerning the balance achieved through the love between a man and a woman. There is great strength and wisdom in Mrs. Reagan’s statement regarding her profound love and soul connection that she knew she had when she met the love of her life. It’s doesn’t negate that she was a woman of talent and accomplishments in her own right as ‘feminists’ seem to think. What it means is that their union enhanced both of them on many levels and by their union, both destinies were recognized and achieved bigger, more and better than had they been apart. When any of us are given this rare and blessed gift from God to meet and join with a soul mate, our life does begin anew and again with a future opening up changing our lives forever, giving us the opportunity to become and grow more than ever could have imagined possible. It is exciting and more meaningful to grow through life with a partner, a true soul mate, who witnesses and offers support in life, assisting, therefore, each to become more than ever thought they could be alone. And it takes a real woman or man to submit to this kind of deep profound love, which requires being seen clearly by another, exposing vulnerabilities and wounds, and in that closeness is the ability to experience genuine love, the kind of love that is the closet thing to God’s love for us on earth. It is not an undertaking for the feint or weak of heart… it’s only for the brave and sincere of heart and spirit. Though love is the closest that we can be to God on earth. 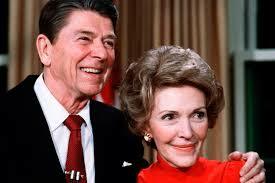 Pure, committed, God based love was clearly displayed by Nancy and Ronald Reagan. 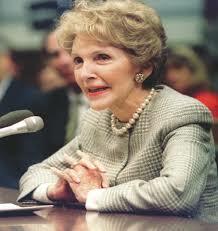 God bless and keep you dear Nancy… as you reunite with your beloved Ronnie. of male-female. Exactly what America needs and a reflection of God’s perfect plan for male and female. 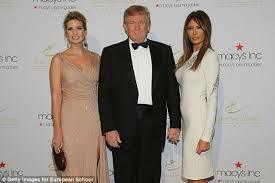 Donald Trump, a man, a doer, a builder, a protector, a father, a husband, an intellect, a wisdom, an appreciator of the beauty, sexuality and wisdom of the female. A blustery, arrogant, ego-driven, will not be controlled male… The King of his world.. the leader of his family. 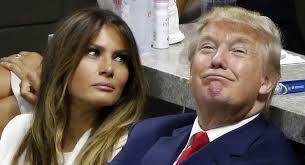 Melania, his Queen, a refined soft spoken feminine beauty… his love, his strength, a part of his wisdom… the soft voice whispering in his ear. At the Republican debate on March 3rd, what we saw and experienced was an explosion of the worst of the male psyche… and it was difficult to watch. Rubio is the brat on the playground, the younger brother. Cruz, the preacher, the know it all older brother. Trump, the father figure who lost his cool because he let the kids get under his skin. Kasich, the middle brother, trying to fill the gap and take advantage of the chaos. That’s how I saw it. Male egos battling it out. All trying to take Trump, the blustery leader, of the pack down. And he was asking for it..Oh he was! As he egged them on. So they responded jabbing him in like kind and jab him hard they did. I hope Trump listens to what his wife tells him after and about this debate. As a woman I was disgusted…talking about size of hands, etc. Rubio brought this kind of juvenile crap up and Trump let it get to him. What I saw is, that afterwards, O’Reilly tried to defuse it by focusing on Trump’s beautiful wife and her interview with Greta. Trump should have pulled her into the frame, complimented and focused on her to change the energy, but he was too riled up after the debate and who could blame him, really? He is running for president … Why? Does he need the money? He has it all. He has wealth, a lovely family and his health. So, why is he putting himself out there like he is… into the political arena of sharks, liars, cons, and do little to nothing self-serving talkers? Sure, part of it is his ego. He’s a MAN… but also, he is a heart. He is a man with a good heart. A man who wants to fix and make better… After all, that is what a man does… that is the essence of a man… a provider, a protector… a man beats his chest and proclaims…’ this is my family and I am their protector and ‘King’… that is what a man, a real man, the best do and does… and the kind of man every ‘real’ woman wants, deserves and needs… And that is the kind of man that America desperately needs at this time. A King kind of a man who knows that what this really means is to serve, protect and provide for… and in this serving his underlying ego needs are met. I watched Melania when she was on camera after the debate… her eyes as she watched Donald. I put myself in her place knowing she is watching, respecting, standing back and observing with her heart and her love for him. Trump in his maleness exploded and who could blame him with those rabid dogs nipping at him continually, with their untruths, half-truths, self-serving Leviathan spinning, corrupted political-serving crap as they try to disparage everything he’s accomplished in his life! Trump has the press malinging him continually, the talking heads after him and the moderators setting him up and so he exploded and too bad in some ways that he did, but good for him in others. The male/female balance is what keeps this planet moving. It’s the base energy of the world. Woman, is man’s gift from God and one reason why Islam is so offe nsive, evil and of destruction. Their males are taught to fear the power of the female, so they in their male energy ( that kind of energy we saw on display at the March 3rd debate) destroy her and by so doing they destroy their chance of love, growth, comfort, wisdom and peace. 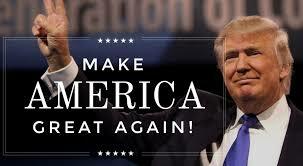 I like Trump. I like Cruz. I can’t stand Rubio. Rubio needs to go away and become a man. I am watching and what is being shown, at this time in our world, is very interesting. No man is perfect but some are better than others. The wisdom and balance of the Male/female are what the world is trying to attain. It gets out of balance then dances trying for its correction… out of balance again then tries back for balance… the repetitive dance of this blessed energy. Like all male/female relationships… as is in the world…at this time, our world is way out of balance. 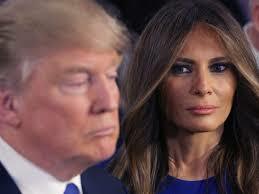 Mr. Donald Trump, we need the essence of your maleness, at this time, as also we need your wisdom, energy, caring and enthusiasm to continue to develop as a real man and in your deepest wisdom, you know this… Listen to your wife. I think we are in for a wild ride in this election year, with much awareness on display for our growth and knowledge. And as much as it’s political, it is also spiritual. God bless and guide America…. 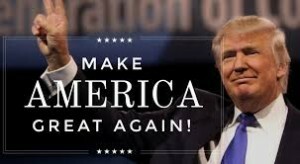 And may God bless and guide in wisdom the next man who is to become our President…. And Hillary return to the rock in Hell that you crawled out from under….